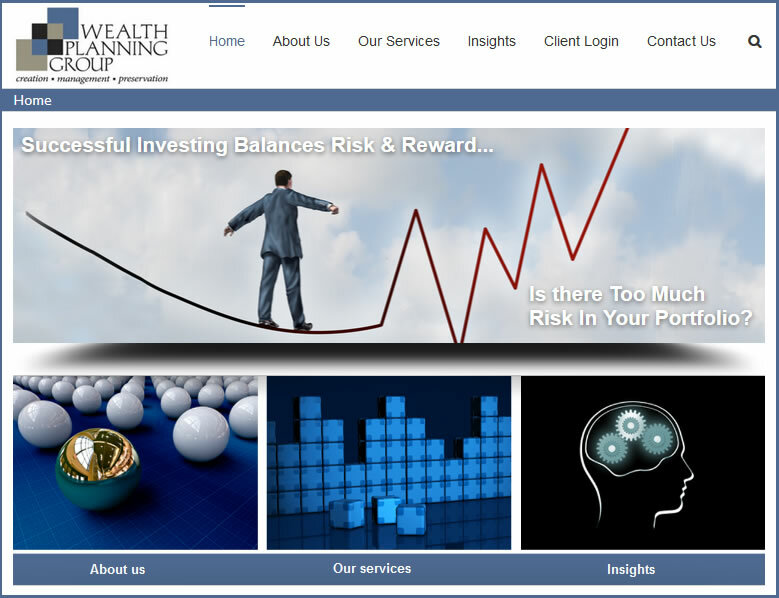 Referred by a mutual friend, WPG co-owner, Jim Blazer, commissioned me in November 2013 to help come up with a new design for this successful financial firm. The previous design had a dated look and some dynamic elements were broken. The contract was signed in January and the site published September 2014, a complete redesign comprising animation, a blog, and a weekly newsletter. Featured under the Insights menu, WPG’s “Weekly Market Commentary” is a weekly financial accounting of what is happening in the world of finance. WPG has agreed to an ongoing maintenance contract that includes Commentary publishing production and Events on an as needed basis.